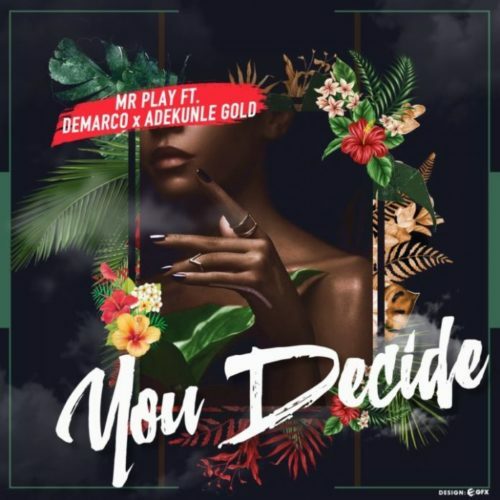 Catch up on this new piece of music from Mr Play ft. Demarco X Adekunle Gold – You Decide out now! Popular British DJ Mr Play premieres a new tune ‘You Decide’ as he delves into another section of music being a singer and record producer. He features Nigerian urban highlife singer Adekunle Gold and revered Jamaican dancehall star Demarco. Mr Play combines both Jamaican and Afrobeat influences on the well produced number. Listen to Mr Play ft. Demarco X Adekunle Gold -You below. Don’t forget to share!